Jacqueline Gautier, M.A., R.C.C., E.X.A., S.E.P. 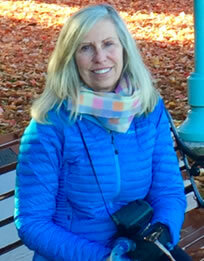 is a Registered Clinical Counsellor in the province of British Columbia and has been trained in the Dynamic Attachment Re-Patterning Experience® DARE model by its founder Diane Poole Heller. Attachment therapy has become one of the main trends in psychology today. Its benefits are now viewed as the underlying influence in our significant adult relationships. This modality is crucial for those clients who want to work towards deepening their potential for happier and more fulfilling relationships. Jacqueline will explore with you your primary attachment experience, your preferred attachment style, and how to work somatically, in the autonomic nervous system and body, to repair and resolve early attachment wounds.